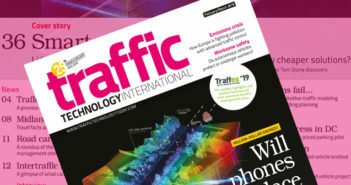 You are at:Home»Opinion»Will road authorities and OEMs back connected highways? Will road authorities and OEMs back connected highways? To what extent do automated vehicles need connectivity, and do the advances in automated vehicles reinforce or undermine the case for investment in connected highways? Currently the communication from the road operator to the vehicle is via the driver. Drivers recognize and interpret road markings, signs and alignments. This transfer of information is subject to some uncertainty as to when the transfer takes place and when any corresponding action, if required, results. For example, a driver may see a speed restriction sign 100m before reaching it and be able to correctly identify what the limit will be. But they may not react until the vehicle is actually passing the sign and then only gradually reduce their speed over tens of meters. Automated driving systems use sensors to identify, recognize and ‘read’ the same signs, signals and information on road layout and the vehicle’s absolute and relative position direction and speed, combining it with stored onboard data. The variability of the response range to signs and signals may be much smaller because of the deterministic way in which they are programmed. Real-time connectivity can further reduce uncertainty. Where and when information is transferred can be specified, and in the case of automated vehicles, the variability in nature, time and location of action can also be reduced so that the relationship between instruction or information from the road operator is much more deterministic than at present. In the example above, the exact location where the speed limit applies will be part of the communication and the vehicle will reduce speed in time to meet that requirement. The vehicle can also confirm back to the infrastructure that it has complied. This greater determinism in terms of reaction to control and information is a potential benefit in terms of safety and emissions. It may also create smoother and more predictable traffic flow. In the longer term there are potential benefits from not having to provide physical infrastructure. This makes the connected-vehicle infrastructure environment attractive for authorities. For a vehicle supplier there is an issue about loss of control over the performance of their product. At the moment the OEMs spend a lot of time and effort in creating and maintaining customer confidence. In a connected vehicle environment, the effectiveness of the communication and, perhaps more importantly, the quality of the information being communicated becomes a significant factor in the way the vehicle behaves. This is not under the control of the OEM and hence is bound to make them uneasy. If any limitations in quality and timeliness of information affect all suppliers equally then it may be less of an issue, but what if it is not? The case for connected highways looks to be very positive, with a range of potential benefits that includes real cash savings. The case for the vehicle suppliers is much less clear cut. The potential for their products’ reputation to be influenced by the action of a highway operator is unattractive and the benefits to them in terms of income stream and competitive position are much harder to articulate. So the answer to the opening question is different according to whether you supply and operate vehicles, or supply and operate the roads they run on, and the investment in automation does create a clear case for connected highways.